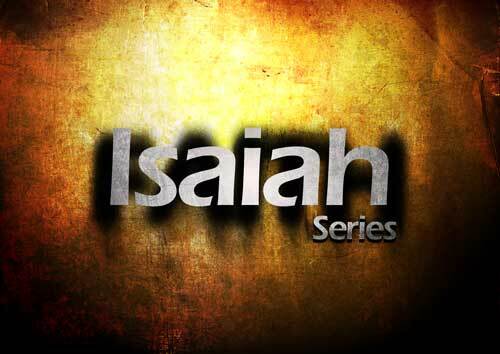 (ver 1.1) This is Part 1 in a lesson series on understanding the prophesied saving work of Jesus predicted to come in Isaiah 53. I recently received a valid important question concerning the prophecies found in Isaiah 53. The basis for the question was who this chapter was about, who are the players and characters being described and is this God pouring out His judgment upon someone and why was it necessary? As part of this question I surmised that this also included the implied question of, “Was all of this prophecy fulfilled and if yes, what was accomplished by the fulfillment of this prophecy?” I will not be attempting to answer every part of all these questions in this single Bible lesson today. In order to understand the deep subjects of any chapter in the Bible we must first regress to understand the very basic subjects that establish the foundation for the deep. Therefore today’s lesson is a teaching of the basic concepts found in Isaiah 53 to lay the foundation for the coming more complex subjects being mentioned. I pray that you understand why I teach in this manner. Paul said “I fed you milk and not with meat because you were not able to bear it” (1 Cor 3:2). God teaches us very clearly that we should not get the cart before the horse and expect the passage to be successful while striving for deeper knowledge and understanding. Therefore I am going to leave the meat parts of this subject to a future lesson in the series and focus upon the more important subjects in today’s lesson. This chapter of the Old Testament is actually vital to understand as a Christian. God places certain facts here that apply to us today and these help us understand why some people are saved and some are not. In the English King James Version of the Bible there are several Hebrew words that were poorly translated by the translators. These mistranslated Hebrew words cause serious doubts and even confusion when read in isolation ignoring the New Testament explanations and descriptions. Without studying and researching what these original Hebrew words really mean people are left wondering what was actually prophesied by God to occur and who these words were really written about. Also when we find the Hebrew scripture being quoted in the New Testament many of the Greek language translations were done with greater degree of accuracy. Why the translators were not smart enough to be consistent I cannot explain but I have learned that I must find the answers from the New Testament in order to understand the writings of the Old Testament. There is an essential basic concept found on the pages of the Old Testament that is absolutely crucial to understanding any of it. Every word found on the pages of the Old Testament is completely true from a natural perspective but the spiritual meanings of the words have been hidden from the natural human viewpoint being veiled from their carnal minds. I know of very few Bible teachers that teach or try to explain this spiritual veiled writing technique. I have learned this fact simply because the Holy Spirit taught it to me personally and I did not learn it from any human teacher. That is exactly why I teach this over and over to allow more people to understand the importance of this truth. Every unsaved person will never be able to read the O.T. in isolation and figure out what it is all about. Even carnal baby Christians do not have a clear perspective to what the O.T. was written about. In today’s lesson whatever I say about the chapter of Isaiah 53 will come directly from the New Testament and this is the proper way to understand any verse written in the O.T. In doing this we allow the Holy Spirit to interpret and define the O.T. words that are presented. I am going to focus only on the first verse in this lesson on Isaiah 53. I believe that Isaiah 53:1 contains the key to unlock the rest of the chapter. In other words if you do not understand Isaiah 53:1 completely you will not understand the verses that follow. We will discover this fact by continuing to read and learn what the Holy Spirit has to say about it. IS ISAIAH 53 EASILY UNDERSTOOD? This God inspired story is pretty awesome. You can clearly see from reading verse 34 that the man did not understand what he was reading. Here is a Gentile man from Ethiopia and he was sitting and reading the book of Isaiah and wondering what these words meant. If you note from the context this man was a seeker of God coming to Jerusalem to worship and that is very important for what happens next and why. Hebrews 11:6 tells us that God rewards those that diligently seek Him and this story is a prime example of that basic truth. The Ethiopian man was struggling greatly with the understanding of the words that he could clearly read on the scroll before him but he still desired earnestly to know their meaning. If you are observant you will find that this man was reading the words found in Isaiah 53. God sent to him a preacher man to help explain the words and this man was named Philip an evangelist of God. Well as you can clearly read in verse 35, Philip preached the hidden Christ in Isaiah 53 and as a result of this explanation this man was saved. We have just learned something very important. I have personally learned a lot from this story. The primary take away is to understand that Isaiah 53 is predominately about Jesus the Messiah/Christ. The second most important thing to understand from this chapter of Isaiah is the primary theme concerning Jesus pertains to human salvation since the Ethiopian was saved after hearing and understanding just these words. The initial verse that Philip preached from was Isaiah 53:7. This was where the Ethiopian was focused on so Phillip used it to teach the man about Jesus our silent sacrificed lamb. It is important to note that when Acts 8 occurred there was no New Testament to read or share with others. So the early church had to use only the Old Testament to preach and get people saved. Do you understand this? Why couldn’t this Ethiopian man just read the text, figure it out and get saved without anyone preaching and teaching him what the words meant? Did the words on the page suddenly change when someone preached them? I really do not think they did, but something happened to change the man’s perspective who was listening to a new way of seeing them. A wrong thinking within the human mind is the greatest reason why the words are not known to the spirit of the man. Once the mind is opened and cleared to see the words they are passed into the spirit of man to be believed. I’ll definitely be talking more about his as we go forward. God designed a system based upon divine grace and human faith where salvation is the common desired end result for both. The fact that someone must preach the Gospel and the hearer must believe the Gospel is just a part of God’s design for salvation. There is something about a man speaking with authority and preaching the Gospel with boldness that makes the words on the page come alive to many people that want to know them. This Ethiopian man clearly desired to know them, was open to learning about them and God sent the preacher to open the words up from their concealed original state to be seen through preaching and teaching. So far we have looked at only one reference of Isaiah 53 found in Acts 8 and have discovered the central theme to be salvation and the theme giver to be Jesus Christ. That is the foundation for the rest of this lesson. I might point out to you that the name “Isaiah” does not appear in the New Testament. However that does not mean his written words are not found there. The problem is that the New Testament was written in the Greek language and the name Isaiah was transliterated from Hebrew into Greek and then into English. The Old Testament was transliterated directly from Hebrew omitting the Greek transition and thus we have two different spellings for the same name. In the KJV New Testament the name “Isaiah” is written as “Esaias”. This Greek word that was changed to “Esaias” is G2268 and it is derived from the Hebrew name H3470 written as “Isaiah” in the English. Just understand that they are both the exact same name. Then learn what the name means in the Hebrew. “Isaiah” literally means “Jah saves”. “Jah” is a short form of the Hebrew “Jehovah” (H3050) a primary name of God in the Old Testament. The name of the prophet designates further hidden confirmation of the book’s main subject content. Isaiah the prophet wrote about God’s plan of salvation for man so we need to learn how this applies and what it entails. Isaiah 53 begins with one of the most incredible O.T. hidden secrets that was only revealed to us in the New Testament writings after Jesus was raised from the dead. Isaiah 53:1 is about the subject of faith. Nowhere in this verse is that subject described, named, or defined and that is the reason very few understand it. Galatians 3:23 describes a principle that faith was revealed (uncovered, made clear, opened for view) by God in the New Testament. In order for any subject to be uncovered for view it had to be previously covered from view. That is further confirmation for what I have taught. However, if you do not understand the subject of faith then you will not understand this verse is about faith. I would strongly suggest that you go and read my lesson series on “Understanding Bible Faith” if you have not read them. This will build a foundation for understanding what is written here in Isaiah 53:1. I will attempt to give you a brief overview of the subject of faith but I cannot repeat the lessons in any detail. What is the number one question being asked here in Isaiah 53:1? God very clearly says “Do you believe the report”? What is a report? A report is a spoken account of a given event by a witness or an expert qualified to speak about it. Remember what we just read about in Acts 8 concerning the Ethiopian man? Didn’t God send the report of a witness to the man from Ethiopia so that he could hear and believe it? Did the Ethiopian believe the report sent by the Lord? Evidently the Ethiopian man was saved because he did believe what was reported to him by Phillip. Wow, that is pretty amazing! I need you to see what God has just plainly stated. The Gospel is defined to be the power of God for our salvation. We also have a direct connection to Isaiah 53:1 with God’s usage of the word “believe”. Since we have previously seen a clear example of Phillip preaching the Isaiah 53 verses to an Ethiopian Gentile man and him being saved from it because he believed the spoken report, we know concretely that Isaiah 53 is the Gospel that contains the power of God for salvation. Therefore God declared Isaiah 53 to be His arm of power that saves if you will see what it says. Let’s move on and look at the direct quotes of Isaiah 53:1. These are actually very relevant words to learn. Jesus claims to be the light of the world. But this is a spiritual light and not a physical one. Then Jesus says to them “to believe in the light”. What is God in the flesh saying? He is saying I’m here to fulfill Isaiah 53 and you can see this very clearly reading the context in verses 37 and38 where John also quotes from Isaiah 53:1. What God is doing is teaching us that people have a very significant role to play in the process of salvation. Jesus was God in the flesh walking like every other man before them and they chose not to believe in Him of their own freewill. These Jews were NOT saved because they failed to believe and not because Jesus failed to save them. If you don’t understand this you need to regress to even more basic Bible subjects. Here in this chapter’s context is found invaluable information concerning God’s saving power extended to man. God quotes Isaiah 53:1 in verse 16 after He tells how to be saved in verses 9 and 10 of this chapter. How are you saved according to Romans 10:9-10? You must start by believing in Him and this includes believing that God raised Him from the dead. Then you must confess with your mouth Him to be your Lord. This is the basic requirement for salvation and it starts with believing the report since you were not there to witness the resurrection for yourself. That is how faith works, you believe and you say. This is a very basic reality but one that is ignored by many Christians. It is very interesting to note that Paul quotes 12 different O.T. verses from Deuteronomy, Psalms, Isaiah, Proverbs, Nahum and Joel in this chapter context including the last verse of chapter 9. I find that fact off the charts fascinating and significant to learn. This knowledge helps to prove what I call the law of related distributed truths. I am a firm believer that God has placed many connected clues in the Old Testament being spread out like random seeds in a field as perceived by the casual reader. To put these random verses all together correctly without the Lord’s assistance is like trying to solve a large complex double sided puzzle without any pictures on any of the pieces. If you do not understand the significance of this distributed factual information being combined together as an integrated lesson then I would suggest that you go and read the context of every O.T. quoted verse found here in Romans 10 and then try to figure out for yourself how God did this and why. How is it possible that 12 different verses from several different books of the Old Testament were combined into a single unified subject lesson taught to the church? I wish people would begin to learn the complexity of the Bible instead of ignoring these types of important factual details. Whosoever means me! This is a verse written to me since I am clearly a “whosoever” by qualified application. Whoever calls upon the name of the LORD, will be saved. I want you to review one key word in this verse found in the original Greek language. The Greek word G4982 which is translated as “saved” is the word “SOZO” and I have made mention of this word before. But I want you to learn a new association. We can clearly see the primary subject is salvation and God connects salvation back to the verses found in Isaiah 53:1 by His choice and intelligent design. Therefore we must understand what Isaiah 53 was written about by understanding how God uses it here in the N.T. The Greek word SOZO literally means to be made whole and complete. The antithesis of wholeness is incompleteness. Incompleteness is a state of lack or a deficit in entirety. This word has broad application. This Greek word crosses over into three realms of reality simultaneously. God’s plan of salvation included your spiritual salvation (wholeness), your mental salvation (wholeness) and your physical salvation (wholeness) in one act of His divine saving Grace. This teaches us literally what Isaiah 53 must contain and it MUST include all of these subjects or God does not remain consistent with the N.T. message of salvation. We now should better understand what to be looking for when reading Isaiah 53. We must search and look for the salvation of our spirit, soul and body. I think this is a good place to end this lesson today. We have learned a lot of good basic information from searching the New Testament and finding God’s explanations for what was written in Isaiah 53. We should now know that the 53rd chapter of Isaiah is God’s power (arm) to save, heal and deliver us. We should also know that Isaiah 53 is only made effective in a human’s life if they choose to hear it proclaimed and believe the report. I thank you for your time reading the Bible and studying God’s Words. Please come back and tell others about what you have learned. God Bless! If you would like to continue reading in this series of lesson you may continue to “Part 2” now. An Insider View of a Failed Church Ministry! 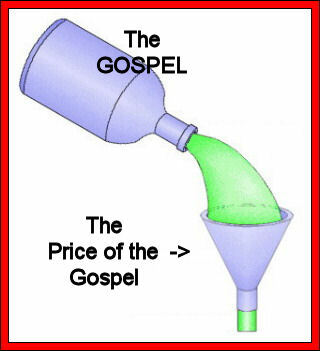 Removing the Funnel from the Gospel! (ver 1.1) My family and I were members of what started out to be a great church in Dallas Texas for several years until the church ministry suddenly collapsed from the Top down. This was much like what happened to the World Trade Center in NY almost 10 years ago. Attack it at the top and watch it topple. It seems that the greatest weaknesses can be those from high above. If an enemy can bring down the top layers the rest of the people do not stand a chance. The senior pastor of this church was led by God to start a church in a certain suburb of Dallas Texas where he started with nothing and no one and grew from there. He built up the church using a sound doctrinal church Bible ministry, preaching and teaching the Word of God. The church membership grew tremendously in a few years so they expanded from a warehouse to buy some land to eventually build a new church building. It seemed like God was blessing them immensely. The church continued to grow and finally went on TV locally broadcasting the Sunday morning service to the entire Dallas metropolis. Then the senior pastor also went on TV nationally and he quickly became very popular with a non-church based format using a little bit of the Bible and lot of talk about money. This was the first sign of the coming downfall. The Senior Pastor’s new found popularity suddenly gained the attention of many desperate Christians and the news media especially after he began reporting income in the millions of dollars from people around the country that were sending in their money to sow a seed for their blessings of healing or other needs that they required from God. The pastor drove a new Mercedes Benz and moved to a gated community with no public access. He was suddenly becoming a recluse. Diane Sawyer and the rest of the godless media suddenly brought the full force of their investigational journalism upon the church as a whole and not just against the senior pastor. It seems everyone that attended the church was suddenly fair game for the attack of Satan. We had several media church plants and even one singing in our choir to do nothing but gather information on what we were doing wrong. One of the men was nick named leaping Larry and he played the part very well to seamlessly fit in. We had hidden cameras brought into our church services watching and waiting to catch what anyone would say or do wrong. The news media went through the parking lots and recorded the license plates of all of those in attendance. Because of all of this attention from the media accusations being fabricated as theatrical sensationalism we had the IRS and the attorney general suddenly investing the church to see if we were really a church and they were looking for any legal precedence to shut us down. You see the world never cares what a church does that is positive for anyone; they are only looking for ways to accuse you like the Jews did to Jesus. Crucify them, they cried in the press. Of course the church back then had a Christian book store and I bought tapes of many of the services there all of the time because I was hungry for the knowledge of God and His Word. The senior pastor also sold his books there and his tape sets there and this was just the way things were done as a standard in almost every church in America. They would sell a tape that costs around 30 cents to produce with the Gospel recorded on it using a magnetic analog strip for 3 or 4 dollars and a high speed tape duplicator and we were all happy to buy it. After the attorney general came into the church suddenly the church store vanished. No longer did they sell Bibles, books or tapes because this is what the world does in their stores to make a profit and that is not supposed to be how a non-profit church operates according to those government lawyers. So rather than risk the removal of the 501c3 status the church quit selling tapes and they started giving them away since everyone still wanted their products. This was the first time I realized what was happening in the church by the subtle deception that had crept in and it had taken control of the preaching of the truth and it had placed severe limitations on the spread of the gospel by assigning a high price to the Word of God. I suddenly realized that the gospel with a price on it was only available to rich people who could afford to buy it. My spiritual eyes suddenly became opened very wide from this experience to the fact that the Gospel was being peddled for a profit and that is not what any Christian or any church should do if they are really trying to reach the lost unsaved world. No non-Christian is going to pay you any of their hard earned money for something they do hold as valuable. Do you get it? People can always do the wrong things in ignorance but yet no one can ever call them acceptable regardless of if they were done in ignorance or done intentionally. No policeman or judge will care if you did not know the law if you were caught violating the law. Just because it is legal today to copyright and sell the Gospel of Jesus using manmade laws, does not mean it is ethical or even permitted in the eyes of God our supreme judge. Doing what is right sometimes requires a higher degree of commitment, a superior commitment to a higher standard and a greater effort not to conform to the lower committed ways of the world that are just floating down the stream like dead fish. Any dead fish can float down the stream, but it takes a live one who wants to do things different to swim against the stream to go where he has never been before. There are so many verses in the Bible on this subject that I could write a book. Selling the Gospel is strictly prohibited by the written Word of God. My favorite verse is “Freely you have received, freely give” (Mat 10:8). If you want to ignore this verse to continue to sell the Gospel of Jesus, watch God do something new and different before He returns and see if you do not get left in the dust of a new greater movement of God. The church in Dallas Texas that had more than 5000 members once in its prime and it is now non-existent today. My family and I were chased out of the church by the senior pastor for opposing the direction he was leading us in. We left the church one Sunday after being confronted by the senior pastor in the middle of the service and we never went back. The senior pastor still had a few loyal blind followers who would follow him off of a cliff but the church dwindled and eventually was shut down and sold because the senior pastor had strayed from the truth to pursue another agenda. His first marriage had failed while we were still in the church as he secretly sought the company of other women. He married one false minister lady and that marriage also failed because of more sin. This minister surrounded himself with godless counselors and ignored the Godly council of the elders in the church. Why am I telling you this story today? Just to pick on the failures of a man? No I do not believe that is the reason for this story. There are no men or women in the world today that are beyond the deception of sin. We must begin to realize that the selling of the Gospel that was freely given to you is a plan of Satan to stop the Gospel from going around the globe. Mathew 24:14 specifically says that “This Gospel will be preached to the whole world and then the end will come”. If you are Satan and you can’t stop the end from coming, what is the next alternative approach to take? I believe you try to stop the Gospel from being preached by placing severe limitations and restrictions on it. There are many nations today that you cannot preach the Gospel without the fear of being killed. Every fundamental Islamic nation will cut your head off for the world to see for preaching Christ. Recently humanitarian aid workers in Afghanistan were killed because someone claimed they were trying to Christianize the population with their outreach of free medical care. Places like communist China will put you into jail for preaching the Gospel in public and they have forced the church to go underground for years. What are the effects of selling the Gospel? The Bible says God is not mocked whatever a man sows that will he also reap. We learn from this verse that everything we do has a cause and an effect outcome. If you sow by charging for God’s Word, what are the results that you will reap? Does this modern Christian Ministry policy not enforce a philosophy that only the rich can afford to be saved? If the early church did not embrace this godless philosophy how can the modern church think it is acceptable now? You cannot find anywhere that the early church accepted money for the spiritual gifts that were given to them by God. Peter told one man in Acts 8:20 “Your money perish with you, because you have thought that the gift of God can be purchased with money”. The knowledge of God is a gift of God. No preacher would have anything to sell that would be worthwhile unless God had given it to him. Are you hearing what I said? 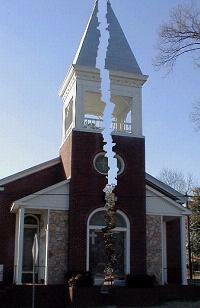 There are many lessons learned from reading this story of a church failure. Surrounding yourself with Godly council and listening to them is one lesson. Staying on the path of sound Bible doctrine is another valuable lesson to learn. But, the main lesson that I learned from this experience is that the Gospel must be preached and given away for free today to everyone if we want to see anyone else get saved. The advent of the internet has opened new avenues that permit truth to flow for little to no cost. No longer do you have to produce a book, tape, CD or DVD that costs a lot of money to produce and distribute for it can all be published on-line for everyone to access for free. No longer do you have to pay expensive TV time to preach the gospel you can gain a huge audience by posting your messages for free on “YouTube”. These are the doors that God has opened and created to spread the truth around the globe. Believe me when I tell you that Satan is using the internet to spread his lies, his deceptions, his agenda and his sinful traps to the people of the world. Satan does not charge you to get you hooked on sin. I hope and pray that you will share this lesson with someone that matters, like a pastor, a teacher, an evangelist or just a friend so that we can change the reality and eliminate the funnel from the distribution of the Gospel of Jesus Christ. God Bless!